The news on May 24th 2018 that President Donald Trump had posthumously pardoned Jack Johnson, boxing’s first black heavyweight champion, for a’ racially motivated injustice’ when the Boxer was imprisoned in 1913 gives us this opportunity to reveal a fascinating historical cemetery link. 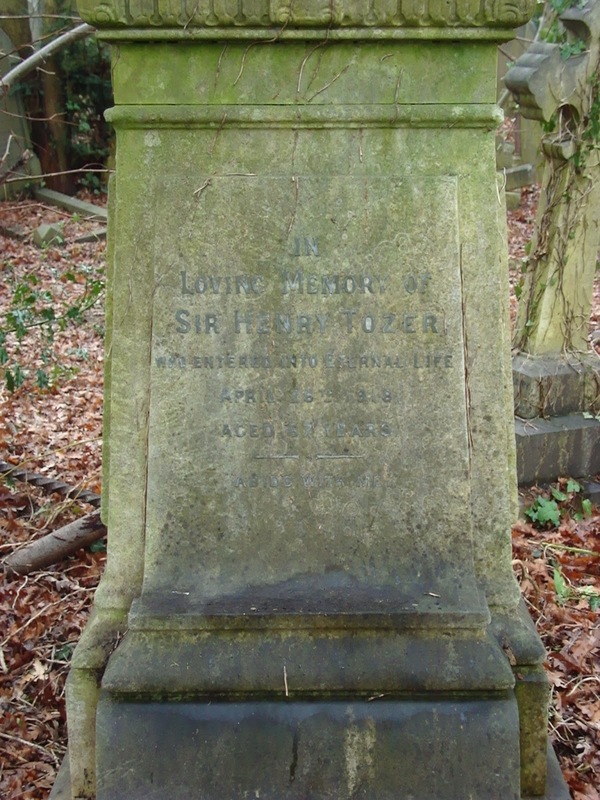 Located at the apex of an inner pathway in Ladywell cemetery lies the grandiloquent columnar headstone to Sir Henry Tozer (his wife Annie predeceased him) He was Chairman of the United Theatres of Variety (Syndicate Halls) and a Member of Westminster Borough Council. 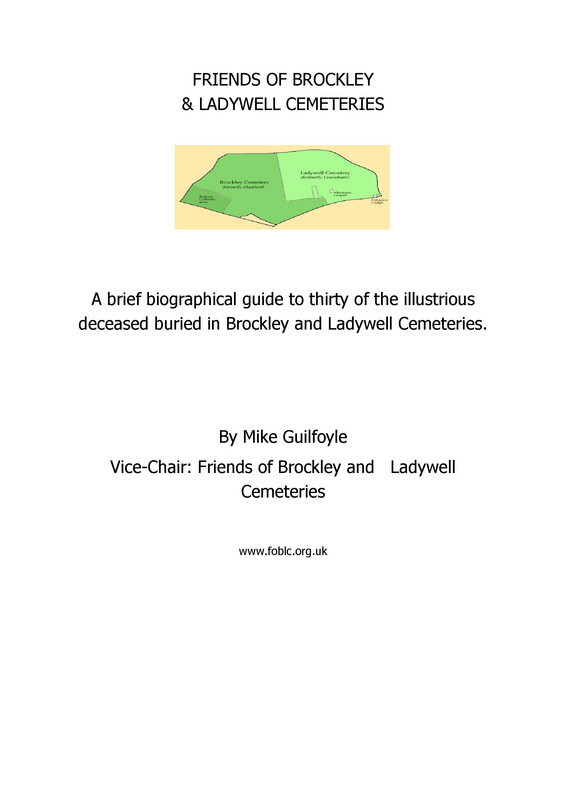 The Music Hall Guild of Great Britain and America are considering restoring the headstone. 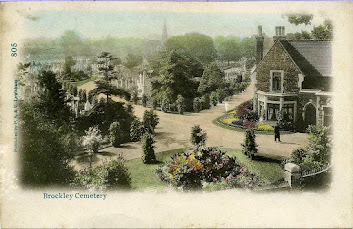 In the role of Music Hall Boss Sir Henry Tozer organised for Bombardier Billy Wells to fight the current world heavyweight champion, Jack Johnson, in London in October 1911, but religious opponents of excessive prize money, led by Baptist minister Frederick Brotherton Meyer, and opponents of contests between the races, caused the fight to be cancelled by Winston Churchill, who was then Home Secretary. A 'colour bar' remained in British boxing until 1947. 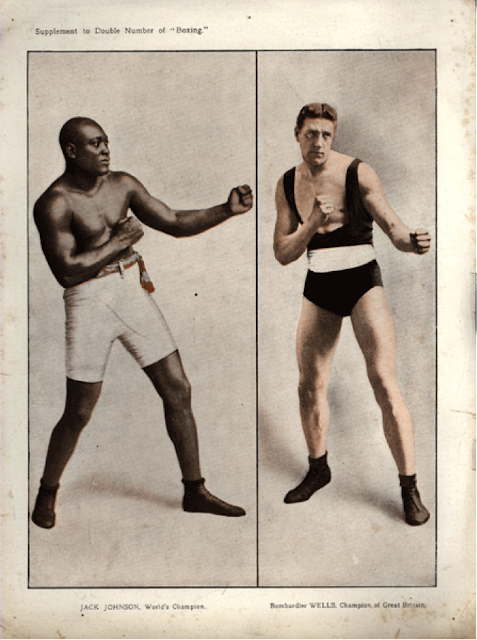 A rare, color supplement poster of Jack Johnson and Bombardier Billy Wells issued for their scheduled fight in 1911.